Enjoy the top 1 famous quotes, sayings and quotations by Charles Ricketts. Mr. Wilde, did you have morning prayers in your house? I am sorry ... I fear not. 'You see where you are now! 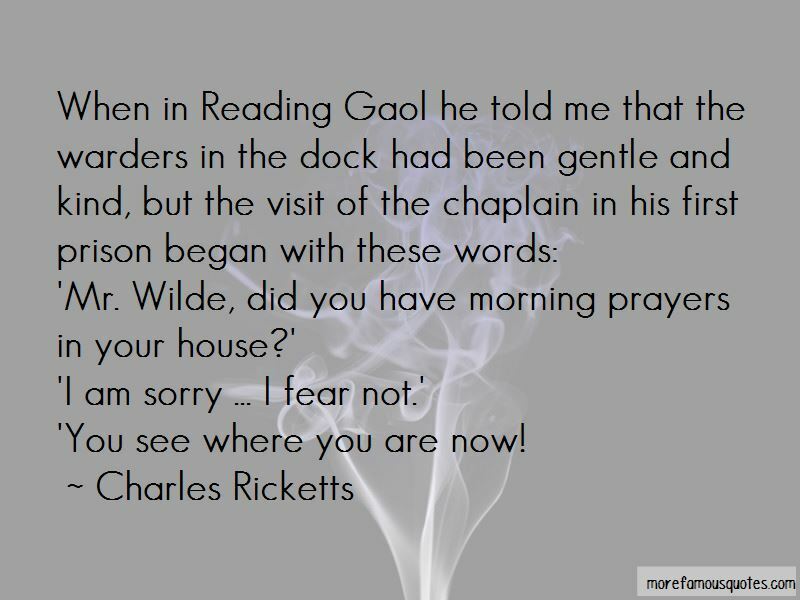 Want to see more pictures of Charles Ricketts quotes? Click on image of Charles Ricketts quotes to view full size.